There are many things that we usually consider in renovating our house. Careful planning and research are usually done before arriving on the final designs that we like. Also there are some areas that we choose to retain in its original form because of some sentimental values that we like to retain. Indeed it is not easy to do some renovations. 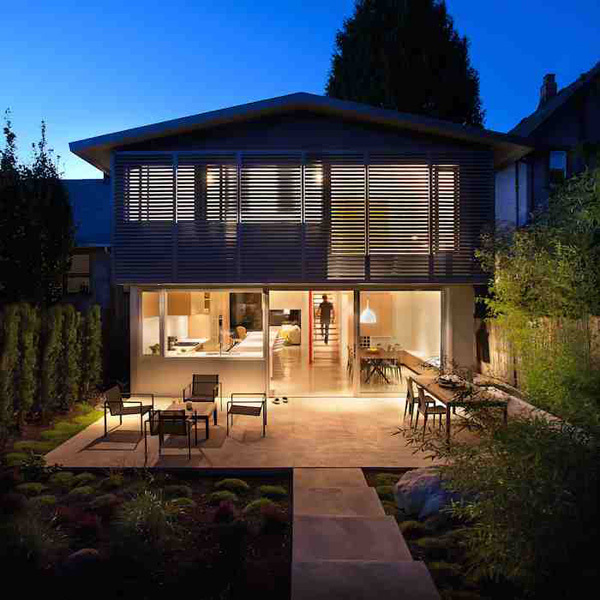 Today we will share to you a renovated house designed in Vancouver, Canada. 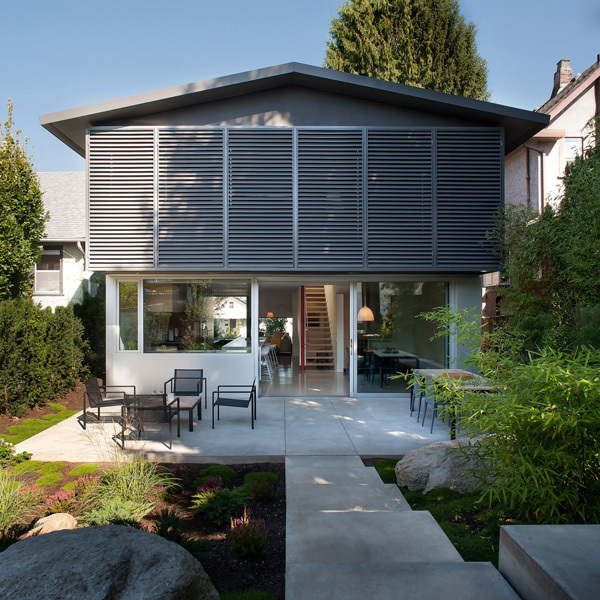 This house is named as 430 House and this is a renovation of a 1981 Vancouver Special on a 33 foot wide lot. The client preferred to retain the entire foundation and structure of the house. 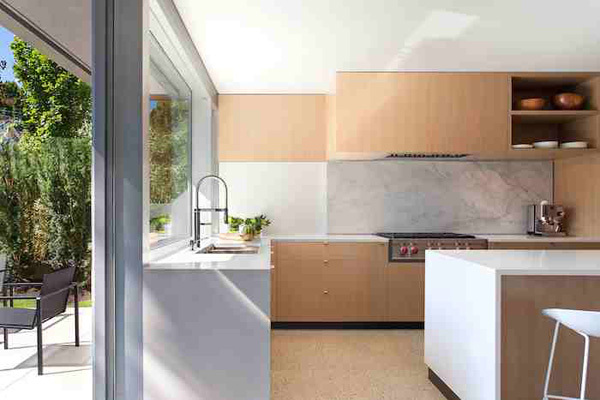 The layout of the interior was flipped, moving the kitchen, dining and living areas from the upper floor down to the main floor. Let us explore more of the renovations made in the house through the images below. Lines and volumes presented in the edifice are very effective in revealing its quality materials. 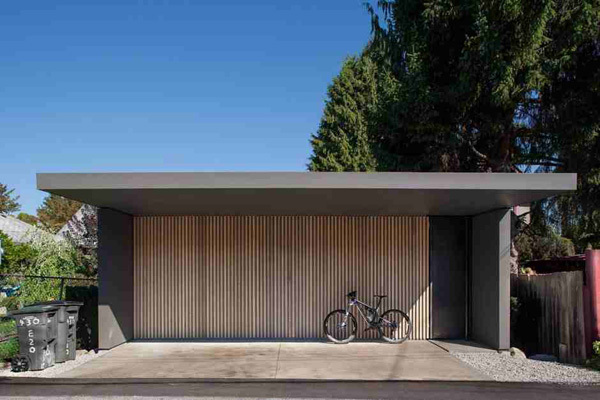 Here’s the new parallel-parking open carport that is uniquely built off the lane. The beautiful landscape expressed the client’s love of nature as it enhances the exterior. Warm colors in the interior are well provided as you can see its furniture and the even the paint speaks of comfort. A touch of white, beige and green color is what this kitchen and staircase area made up to underline its neatness and charm. 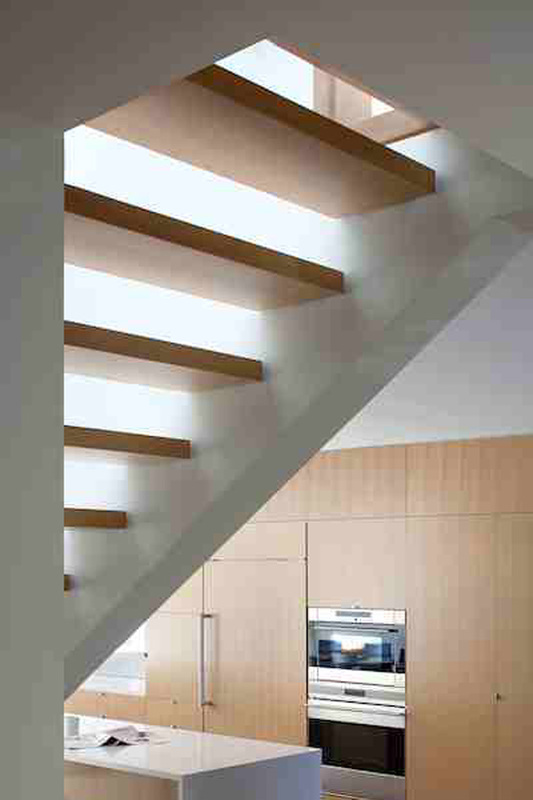 Looking closely at the staircase’ texture that complements with the rough floor and built-in cabinets. 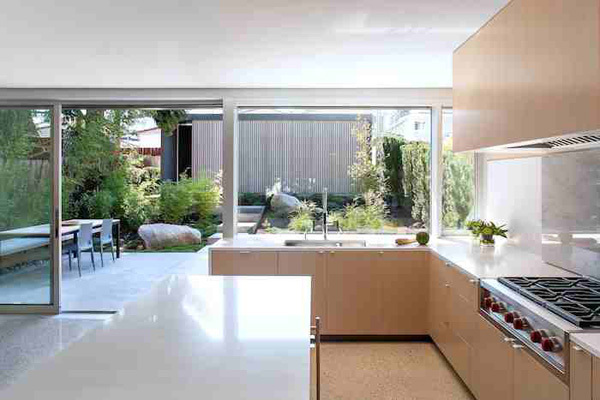 From the kitchen, the client may enjoy the site of the patio as well as the garden area outside. High quality and trendy fixtures adds elegance which highlights in its contemporary concept. 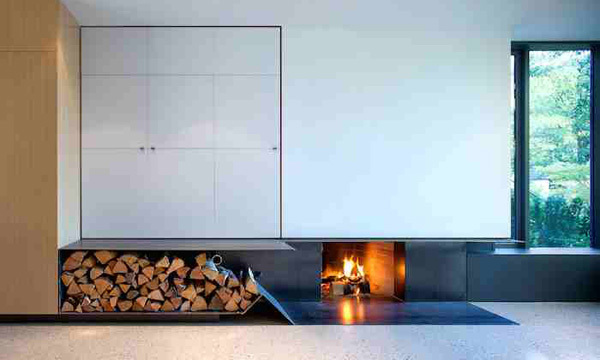 A modernized style and design of fireplace is also utilized in the interior to warm the area during cold days. 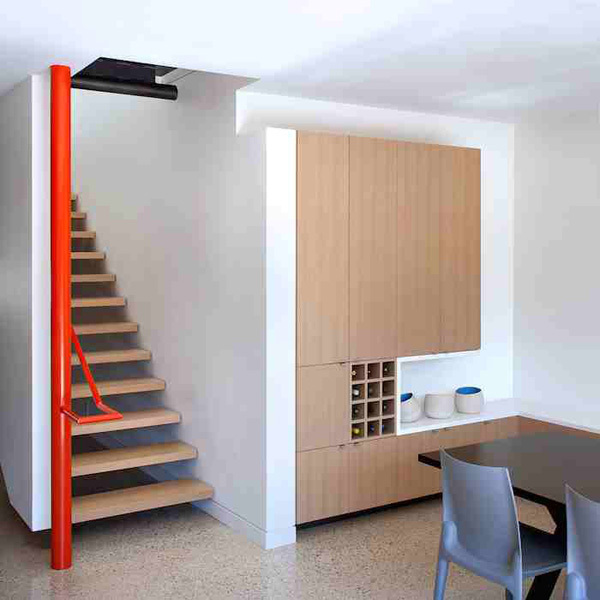 Geometric volumes of the furniture and staircase are well-displayed in the kitchen space. 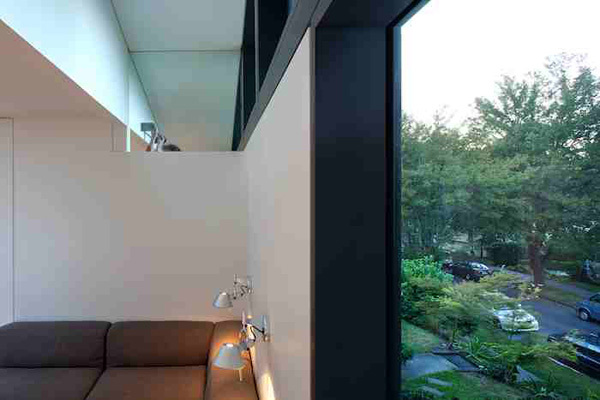 The natural beauty of the exterior may also be viewed from these large glassed windows. 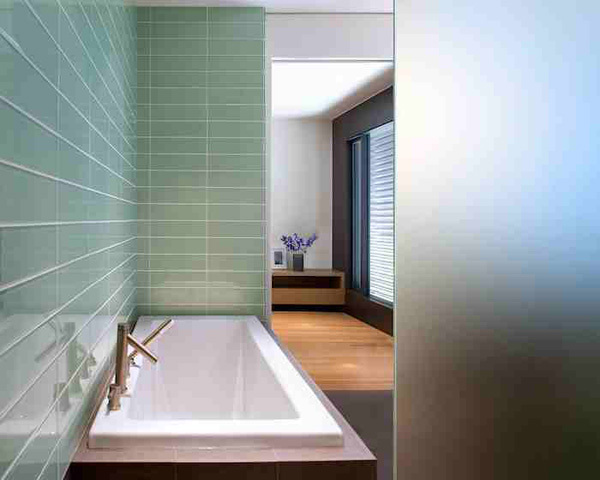 The green tiles in the bath tub area provide a very relaxing and modern look. 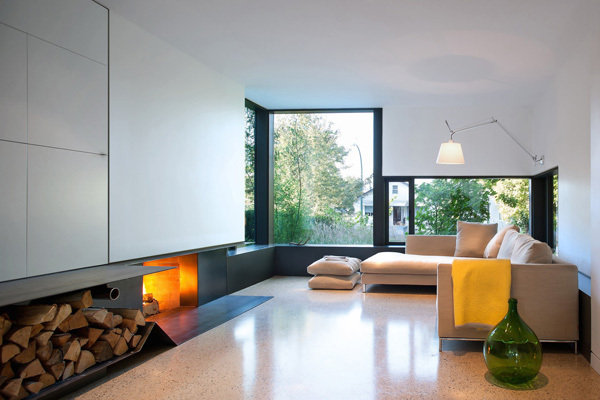 Black, white and wooden brown color of the house building proves its contemporary renovations. 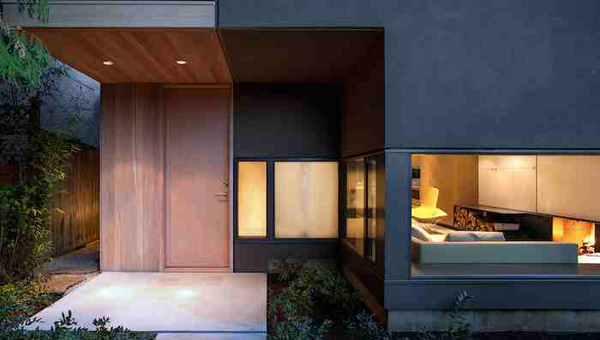 Well-planned and astounding layout of the exterior is stressed in the garden as well as its light. LED lights installed in the interior as well as in the exterior in the patio area underscore its luxurious and unique concept. As you can see the different newly renovated areas in the house, definitely you will be amazed of the artistic and modern accents applied in the interiors. 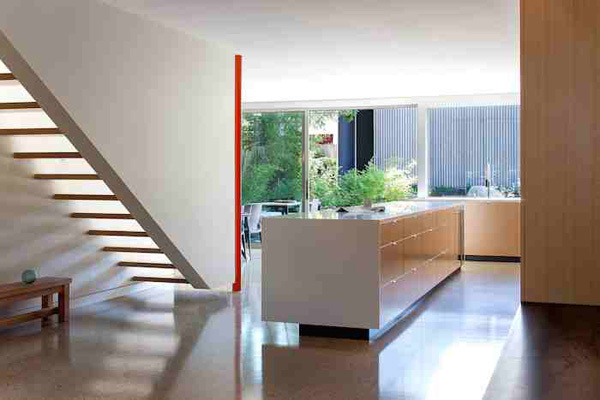 The D’Arcy Jones Architecture made sure that the most important parts of the interior should be upgraded. I personally like the new parallel-parking open carport which was built off the lane. This is to preserve more of the backyard for a new landscaped garden and terrace. We hope that we have given you a newly set of ideas and inspirations that you may apply in your old house to make it new.